The classic retail model is under siege – 5,300 closing announcements through June of this year. Adam Gromfin HLS ’03, President of ThreeSixty Group, will discuss the creative strategies and rapid tactical maneuvers that might provide the only path to survival. It is no secret the classic retail model is under siege – 5,300 closing announcements (Macy’s, JC Penny’s etc.) through June of this year driven by over capacity as well as the ascendance of online shopping and in particular the dominance of Amazon. Creative strategies as well as rapid tactical maneuvering is the only path to survival and that is exactly what look Adam Gromfin, President of ThreeSixty Group, will share with you at this HLS breakfast presentation. Register through the HBSAOC website now! Harvard Club members will be given the Partner club rate. The ThreeSixty Group, a leading cross-category designer is actually thriving in this retail chaos by manufacturing unique consumer products and leveraging distribution channels to gain access to approximately 70,000 retail stores. How is this possible? You’ll learn how the Company breathes new life into their portfolio of licensed, or owned,classic brands (Sharper Image, FAO Schwartz, Smithsonian, etc. )* by empowering inventive internal design teams and rigorously managing global sourcing networks. Retail partners love the result - the marriage of powerful, curated merchandise programs (toys and other children’s products, holiday gifts, home décor, games, radio controlled vehicles and drones, and athletic accessories) with brands that still resonate with buyers. A strategy that is eloquent in its simplicity but difficult in its execution! Make sure you attend and get an inside view to executing a strategy how to navigate chaos and emerge as a winner! *Owned and licensed brands include, Blue Hat Toy Company, Black Series, Discovery Kids, Smithsonian, Animal Planet, FAO Schwarz, and Sharper Image the last two of which ThreeSixty Group acquired in late 2016. Click here to register through the HBSAOC website. Adam Gromfin is the President of ThreeSixty Group, one of the world’s only vertically-integrated cross-category general merchandise retail suppliers — with product lines including electronics, radio control vehicles, toys, wellness, home decor, men’s gifts/gadgets, and pet items. With this broad product portfolio, and a diverse array of in-house and licensed brands, ThreeSixty sells products to most major U.S. retailers (representing over 70,000 retail doors). The company is headquartered in Irvine, California, with offices in New York, Hong Kong, Shanghai, Guangzhou, and Ningbo. 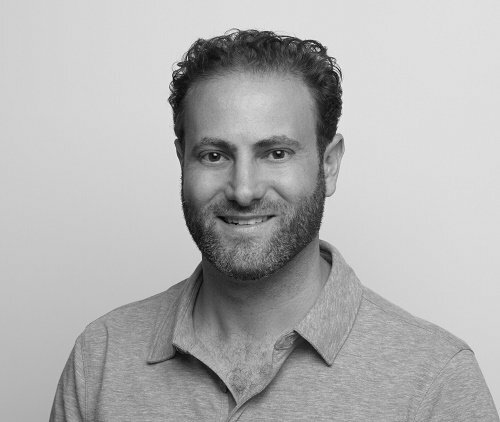 Adam joined ThreeSixty Group predecessor MerchSource in 2008 as General Counsel, immediately turning his attention toward building the department into a worldwide organization capable of servicing the Company’s diverse and rapidly expanding needs. In 2011, Adam quarterbacked the merger with its long-time sourcing partner ThreeSixty Sourcing — forming ThreeSixty Group. While overseeing the company’s legal affairs, Adam also took an active role in the company’s growth by managing sundry post-merger integration projects, defining and managing key strategic development initiatives, managing the company’s relationships with its key licensors, and managing its international relationships with its lenders. Adam Gromfin was promoted to President in 2014. Since assuming a full-time business role in the Company, Adam managed the Company’s successful 2015 sale to AEA Investors, one of the oldest private equity firms in the U.S. Assuming M&A targeting and execution responsibilities for the Company, Adam thereafter led ThreeSixty’s acquisitions of FAO Schwarz and Sharper Image in October and December of 2016, respectively. Prior to his role at MerchSource, Adam practiced as an antitrust litigator and appellate advocate at Heller Ehrman in San Francisco. He has argued multiple appeals before the California Courts of Appeal and Ninth Circuit Court of Appeals, and has written multiple briefs filed with the United States Supreme Court.